"He’s literally the nicest dog I've ever met." Clark is a very caring and considerate dog. 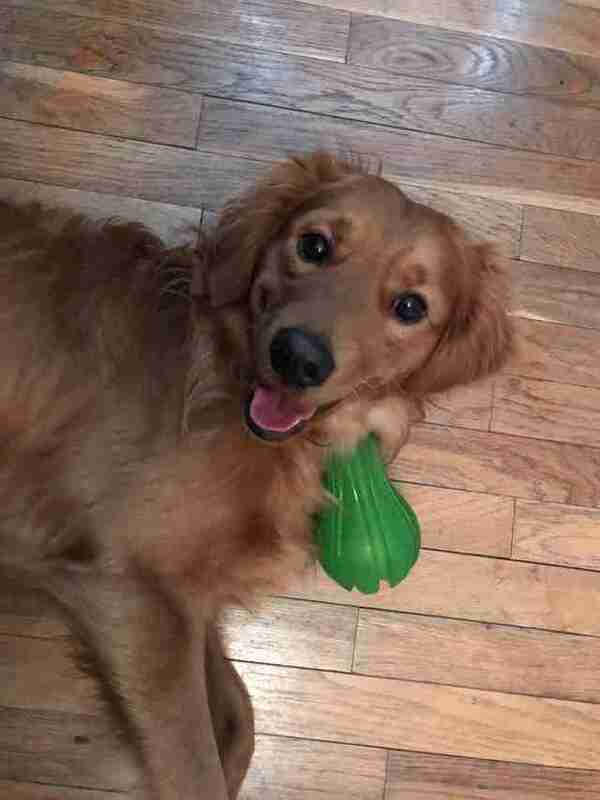 He loves pretty much everyone and everything — especially his owners Rebecca Jude Weaver and her fiancé, as well as the green plastic toy he carries around with him everywhere. But Clark does have one dislike: Baths. He hates baths. Ever since Clark and his family moved into a new home with a tub last summer, things just haven’t been the same. The shower at their old place was apparently not a problem; this porcelain basin thing is another story entirely. 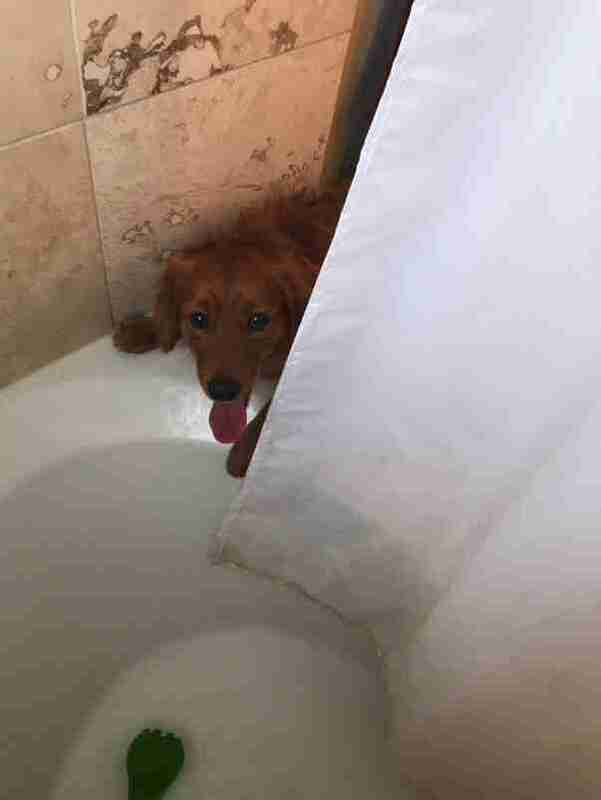 In fact, after suffering through his first bath, Clark is now convinced that no one could possibly enjoy spending time in the tub. So, whenever Rebecca or her fiancé go for a scrub, the faithful dog tries his best to comfort them through it. 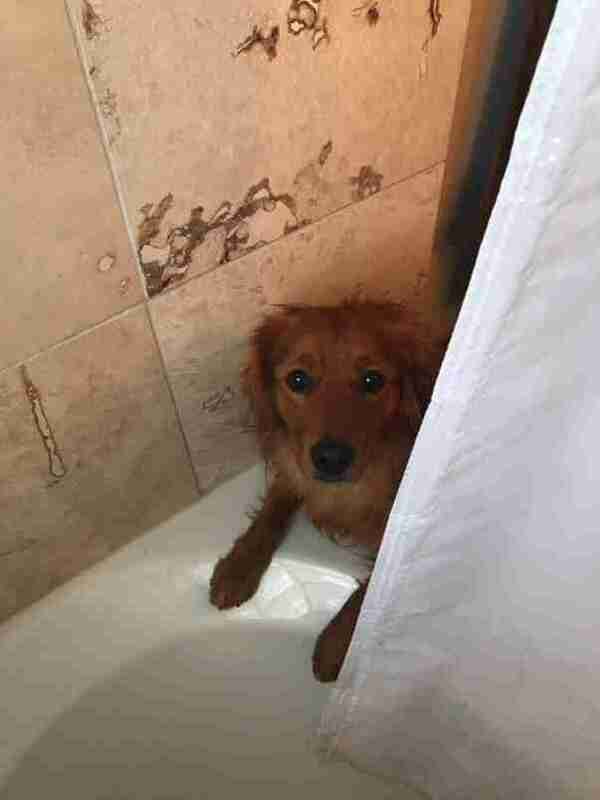 Without fail, when his owners are showering in the tub, Clark appears at the rim, seeming quite distressed for them on account of the terror they must be going through. 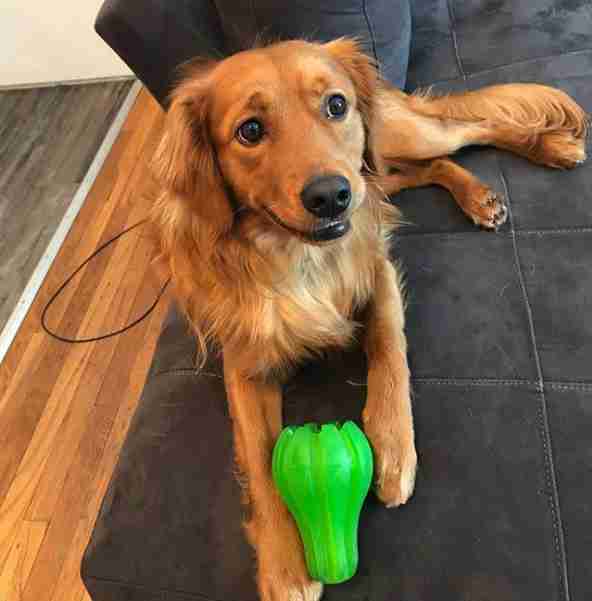 But then he remembers something that might help ease the bath time woes for them, like it does for him when he's forced to take a dip: His green toy. And just going about the effort is enough to calm Clark’s nerves. 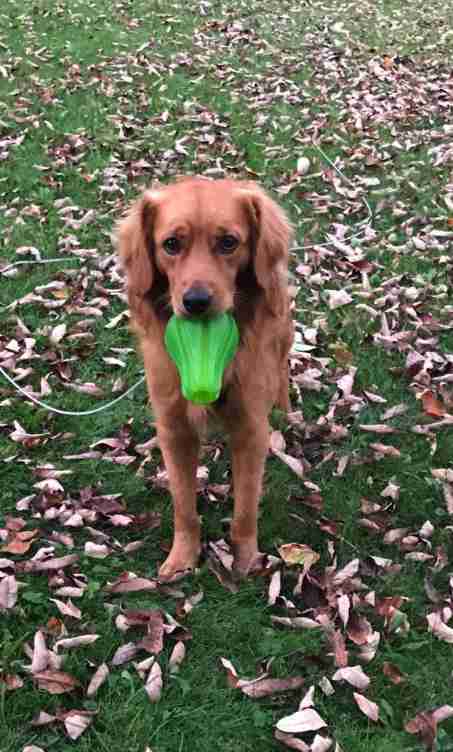 At first, Rebecca and her fiancé thought that Clark just wanted to play. But it turns out that’s not the case. Clark will never share his green toy other than in this scenario, making the gesture all the more special. 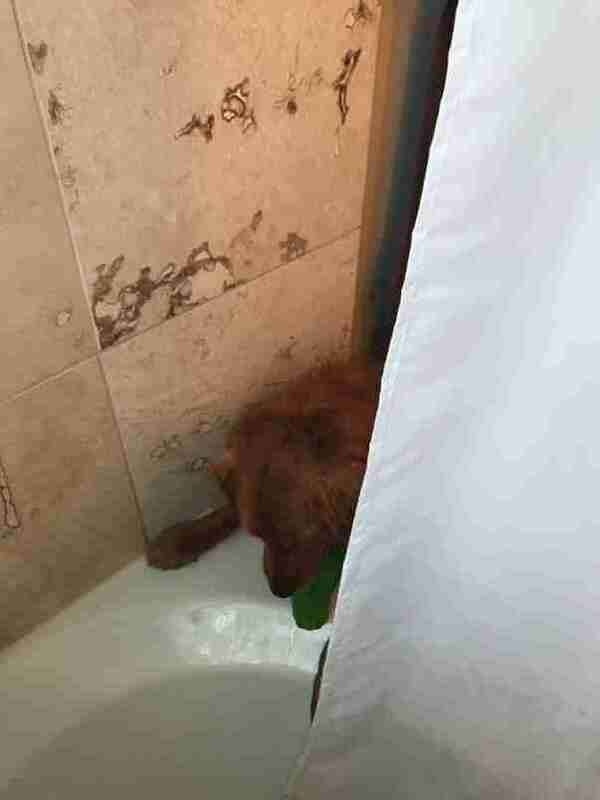 Sure, Clark’s opinion of the bath — and his worry for those occupying it — is certainly overblown. But Rebecca and her fiancé know it just means that he truly loves them and wants to make sure they’re happy and safe. That’s just Clark. You can keep up with Clark's adventures by following him on Instagram.